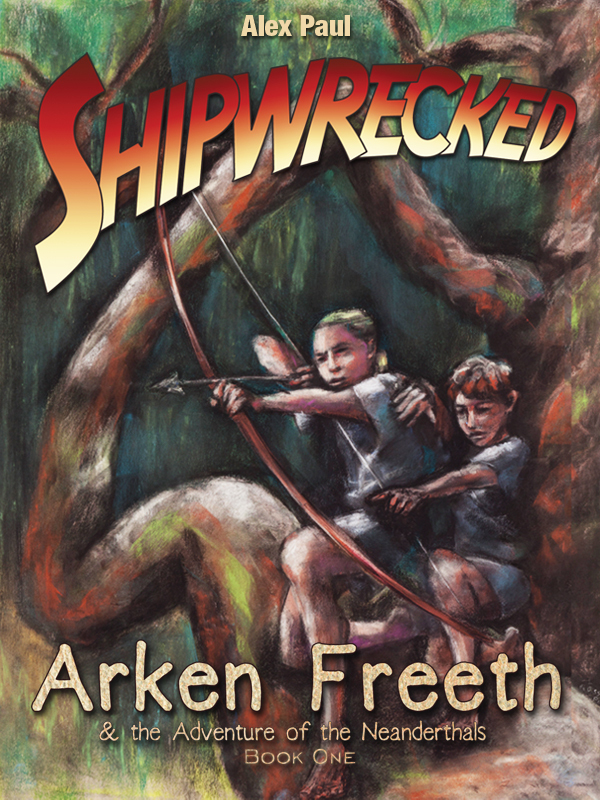 Shipwrecked: Arken Freeth and the Adventure of the Neanderthals – Book 1 has launched! I am happy to announce that the Kindle e-book version of Shipwrecked: Arken Freeth and the Adventure of the Neanderthals Book 1 are available from Amazon.com. Regular price for the e-book is $2.99 for the e-book but on Sept 14-16, I’m offering up Shipwrecked for free to my friends and fans. In the age before the Great Flood, 13,000 years ago, a new alliance between the nations of Lanth and Tolaria is threatened by pyramid-building Amarrats out to conquer and enslave the world. Fourteen-year-old Arken Freeth is swept up in the conflict when his Lantish Military Academy training ship is attacked by pirates and runs ashore. He and six classmates are the only survivors of the shipwreck and they struggle to live in a jungle filled with saber-tooth cats, dire wolves, mammoths, and mastodons. Neanderthal blood runs in Arken’s veins. His lineage gives him strength and makes him a powerful warrior, a warrior who can keep his friends safe. But he must use his strength wisely and keep his heritage a secret because it means certain death under the laws of Lanth. And to Lanth he must return. For Arken has salvaged a necklace from the wreck–a necklace that bestows the gift of prophecy. If Arken can get it to the King of Lanth, he can turn the tide of war. But Arken and his classmates are pursued onshore by the pirates who want the necklace as well. Get your copy of Shipwrecked now!